It’s not always about the book…. I am sincerely impressed with the readers who come into this library to pick up their requests….what a rich assortment of teen reads, old and new. I am put to shame with being behind the times with some titles SPL should probably have but then again, what’s the point of our library network if we can’t share those dvds, books, mags and etcetera, etcetera, etcetera, I ask. So thank you, chronic gatherers of the unread. Speaking of the undead, I have a display of books that may be considered fodder for the turning of All Hallow’s Eve. You’ll see that the books are set aside atop the Series bookshelves and the non-fiction bookshelves. As many of you know, sometimes you have to ‘order out’ because SPL doesn’t have what you want or somebody else got to it sooner than you did. 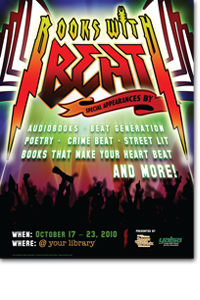 It is also TEEN READ WEEK: BOOKS WITH A BEAT…so consider poetry, music, crime – anything you can add beat to – part of the highlight of books with a beat. In that direction, I recommend: Guitar Girl, Beige, Firmament, Born to Rock, Drums, Girls and Dangerous Pie as some good starters for music beat; Reality Check, The Boy Sherlock Holmes series, the Echo Falls series, The Christopher Killer for crime beats. Poetry? Well, poetry speaks for itself and you’d be surprised how enticing poetry can be when the right one is read…like ‘let the right one in’ . Next month – November – will feature 2 programs for 6th grade and up. Jewelry making with Elisa Sullivan of Swirls Jewelry will be Saturday afternoon, 1-4 pm on November 6th. You must register online as there is limited space. And November 13th is National Gaming Day, so rev up the Wii, crack open the Apples to Apples, march out the Magic cards and stop by the library downstairs for open gaming afternoon. No sign up required, packs of friends encouraged. TAG meeting on Saturday, Oct. 30th….thanks for reading. Can we be your library? Here is a neat thing….this summer we had two Teen Interns (Kaitlin Meiss and Lili Henderson) who did a wonderful job of ‘going with the flow’ and pushing the river at times and just helped out immensely at our library. And over the summer, the bookshelves were emptied regularly (in a manner of speaking)…Hot Titles: Mockingjay, The Chronicles of Vladamir Tod, myriad titles of fun series (Clique & Pretty Little Liars), big thick titles like Ellen Hopkin’s books and The Secrets of Nicholas Flamel books, just a lot of reading going on. I am still wondering where all my MAD magazines went (Can you tell me?). It was so summer and I appreciate everyone one of you who made it into the library. 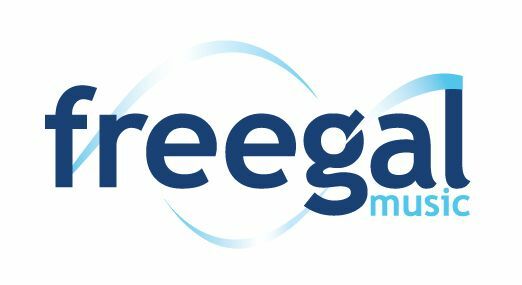 I am hoping the word about FREEGAL (It’s pronounced as rhyming with LEGAL not Free – Gal as I like to pronounce it.) is getting out….FREE DOWNLOADS OF MUSIC!!! !THANKS TO YOUR LIBRARY CARD!!! And e-books and downloadables are available so you don’t even have to show up at our door to get what you want. BIG NEWS!!! The library will be open on Sundays through April. Duh, you didn’t know that we WERE NOT GOING TO BE OPEN? That’s OK. I am really glad the Friends of the Library stepped in with all there fund-raising to say, “Open the doors on Sundays!”. Why? Sundays are perfect for students, working people and others who can’t make it to us during the week. Just wanted to get something onto the screen since it’s been awhile. More on Teen Reads Week and our Teen Advisory Group soon.